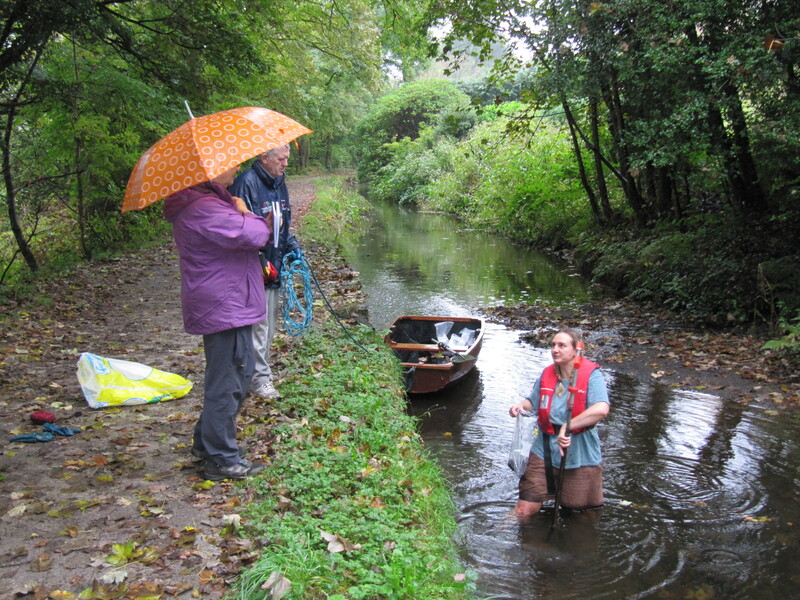 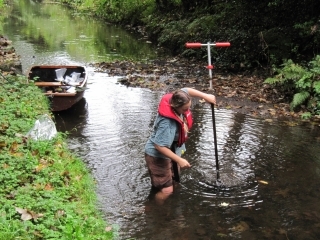 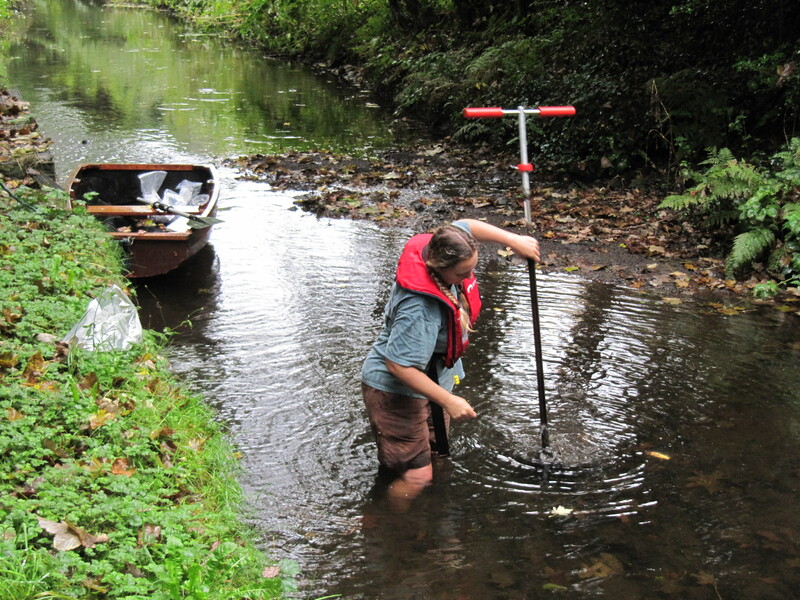 Dr Kath Ficken continued with the silt sampling and this has now been completed. 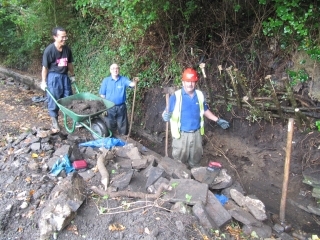 Some volunteers helped clean out the depot, and were no doubt pleased with their choice of work as they missed out on the rain. Others were continuing with the wall building at Upper Trebanos Lock bywash.